The U.S. government has spent as much time covering up conspiracies as it has helping the American people. 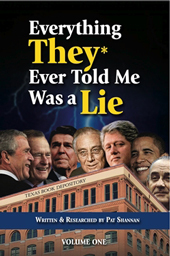 In Hidden History, you will see the amount of effort that our government has dedicated over the past fifty years to lying and covering up the truth to the world. Starting with the assassination of President John F. Kennedy, author Don Jeffries chronicles a wide variety of issues that have plagued our country’s history. Whether it is the assassinations of MLK and RFK, Iran-Contra, the Oklahoma City bombing, TWA Flight 800, voting fraud, or 9/11, every major disaster or war that we’ve witnessed has somehow been distorted by those who are supposed to be protecting us. Jeffries also delves into extensive research on the death of John F. Kennedy, Jr. — and what he finds will shock you. 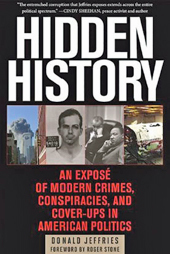 So whether you’ve only heard bits and pieces of these stories or you’ve read several books on the topics, Hidden History is the book that belongs in every conspiracy theorist’s library, as the information included here has never been collected together in any other published work available. So sit down, strap in, and get ready to be shocked and awed by how much has been hidden by our government over the past fifty years. Updated for 2016, this version features a new introduction by political insider Roger Stone. It’s paradigm shifting. Everything you think you know about the U.S. is mostly propaganda, lies, and deceit. From who killed President Kennedy to who killed Dr. Martin Luther King, Jr. and Kennedy’s brother, Bobby, as he was on his way to the White House. This book is a must-read because. Donald Jeffries pulls the curtain down on fifty years of massive corruption, exposing both the lies of the Left and the Right. It’s time to learn the truth. 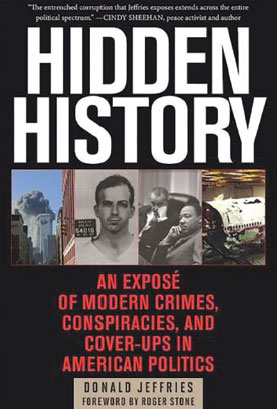 Hidden History is a vitally important book that every American and everyone who believes in America should read. – Dr. Cynthia McKinney, former U.S. Representative and Green Party presidential candidate. In Hidden History, Donald Jeffries has assembled an encyclopedia of misrepresented and under-reported historical events. This book is unique in its even-handed approach, and it is difficult to disagree that the entrenched corruption he exposes extends across the entire political spectrum. Facts are simply just the truth. Information that often just lies there. But when presented in an arresting, revealing, brilliant storytelling manner they can inspire one to action and change. If, to paraphrase Jack Nicholson in “A Few Good Men,” you can handle the truth, no matter how uncomfortable and contrary to popular acceptance, then you must get Donald Jeffries’ Hidden History. As one who has spent over forty years trying to tell DA Jim Garrison’s real story about his Government and media sabotaged investigation into President Kennedy’s murder, even I learned and was moved by what Donald uncovered. From JFK’s murder to Martin Luther King to Oklahoma to flight 800 to 9/11 and countless others, you know the litany; but you don’t know what Donald Jeffries knows until you get Hidden History, every page a virtual wikipedia of needed truths! Henry Ford is widely quoted as saying, “History is bunk.” What he actually said was “”History is more or less bunk.” Donald Jeffries has elaborated on this theme in his new book by showing that behind what is commonly perceived these days as history is the real truth, or Hidden History. In an age when deception is the norm, Jeffries’ invaluable book tells it like it is. 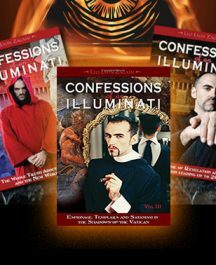 Author Don Jeffries dares to tell the truth and names individuals and groups behind the major assassinations and false flag attacks meant to destroy the pillars of our constitutional republic. Prepare to take the red pill. 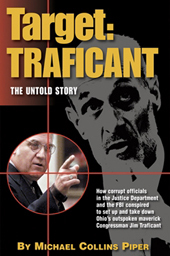 With Hidden History, Donald Jeffries has written a compelling, well documented book raising disturbing questions challenging the politically correct explanation of modern crimes, conspiracies, and cover-ups in U.S. history, including, among others, the JFK assassination, Ted Kennedy and Chappaquiddick, the deaths of Vince Foster and Ron Brown in the Clinton presidency, and the 9/11 terrorist attacks on the World Trade Center and the Pentagon. 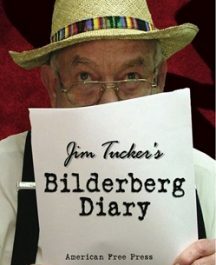 A must-read for all those wanting to get past conspiracy theory to the inconvenient facts political correctness is designed to keep the American public from knowing. – Jerome R. Corsi, Ph.D.
Hidden History by Donald Jeffries is a book of historic importance because it documents our true contemporary American history. It is informative, fascinating, and entertaining at the same time- written in a professional, but also very accessible manner. A compelling, well-documented book raising disturbing questions. Donald Jeffries has been researching the JFK assassination since the mid-1970s, when he was a student volunteer with Mark Lane’s Citizens’ Committee of Inquiry. He is the author of the 2007 novel The Unreals. He lives in Virginia with his wife and two children. Roger Stone is not only a political consultant, strategist, and lobbyist, but is also the man who single-handedly brought down New York Gov. Eliot Spitzer. He has been involved in politics since his teenage years, worked for both the Nixon and Reagan administrations, and has recently joined the Libertarian Party. Aside from politics, he’s also known for his personal style, and writes the annual “Ten Best and Worst Dressed Men and Women in the World” column for the “Huffington Post.” He splits his time between New York City and Miami Beach, Fla.